← Robert Duvall-ing the Cradle: A Night in Old Mexico, reviewed. 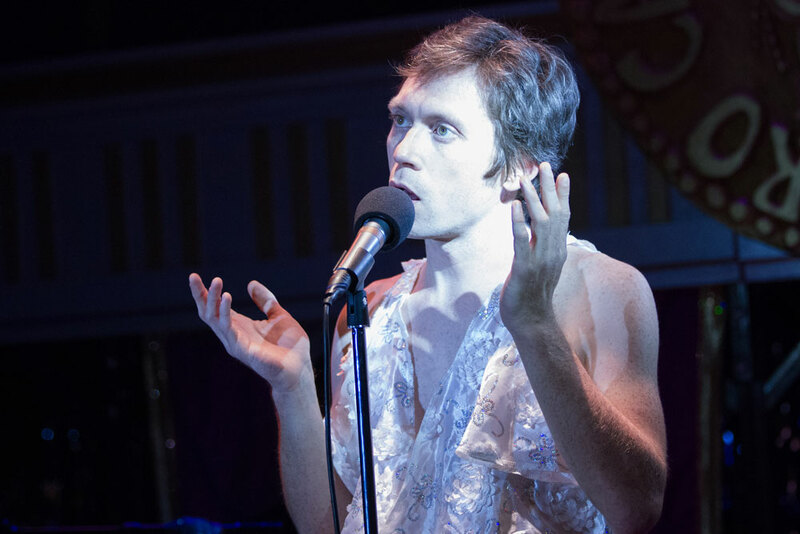 Richard Byrne’s original glam musical Nero / Pseudo, featuring songs by Jon Langford and Jim Elkington, needs a little more Caligula, I conclude in my Washington City Paper review. Still, it’s a project worth following — and I’ve been following it for a couple of years. Langford was one of my first opportunities to interview an artist I’d long admired. I talked to him for DCist in 2007 in advance of a mekons show and again the following year before his other great band, the Waco Brothers, came to town. This entry was posted in theatre and tagged ancient Rome, Nero, Patrick Pearson, Richard Byrne, WSC Avant Bard. Bookmark the permalink.